You can dress it up or dress it down. 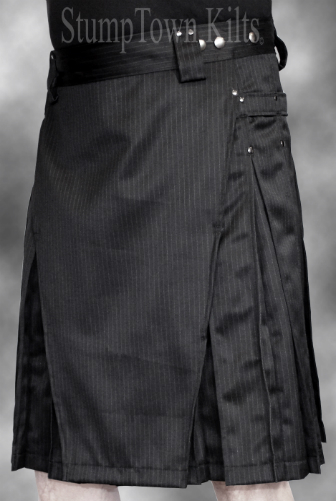 Our Men’s and Women’s Pinstripe Kilts are extremely versatile, so much so that this Kilt is in a category all it’s own. 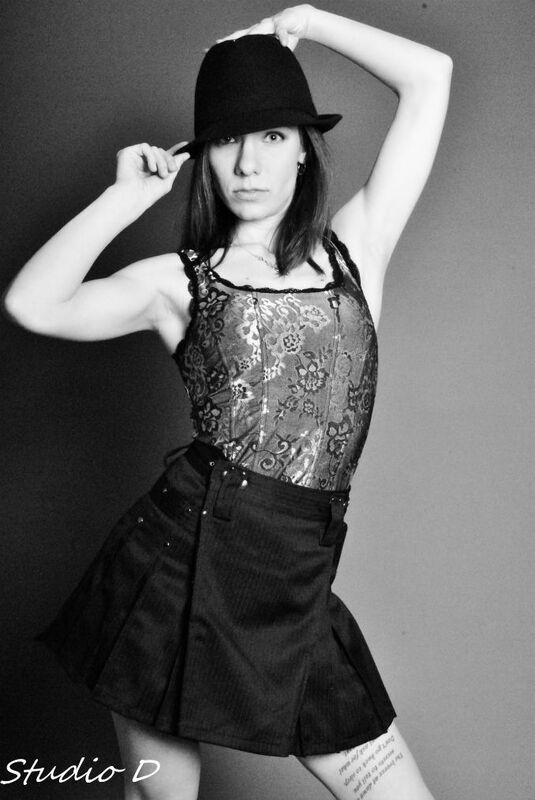 StumpTown Kilts’ Men’s and Women’s Pinstripe Kilts are a bit lighter (just 6.5 ounces) than our Standard 8 oz Kilts. These Kilts are also softer. While our Standard Kilts soften up after several washes, STK’s Pinstripe Kilts are silky smooth right away. Often we encounter Kilters that are hesitant to wear our Pinstripe Kilt because they are afraid it will not look good with tennis shoes and a T-Shirt. This is not the case. The Pinstripe Kilt is so versatile that it is a casual and dress Kilt all in one. Need to go to a wedding or getting married yourself? This is the Kilt for you! The Pinstripe Kilt looks great with a dress shirt or blouse. You can even wear a suit jacket or tails. The Pinstripe Kilt is so unique that we’ve decided to include a riveted Attachable Pocket with each Kilt rather than the usual Attachable Pocket.